Music inspired by the mystery and magic of ancient forests. The Greenwood features Classical and Celtic harps, hammered dulcimer, kalimba, strings, and choirs, along with bells and singing bowls, which enhance its feelings of spirituality. Bells mark the passing of time, call the faithful to prayer, are used to cleanse spaces, as amulets, and help induce a state of trance. 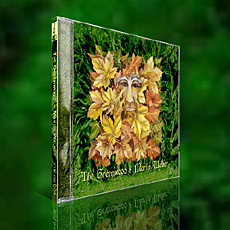 "The Greenwood makes a wonderful background for any kind of meditative journey. Worth a place in any collection of CDs." 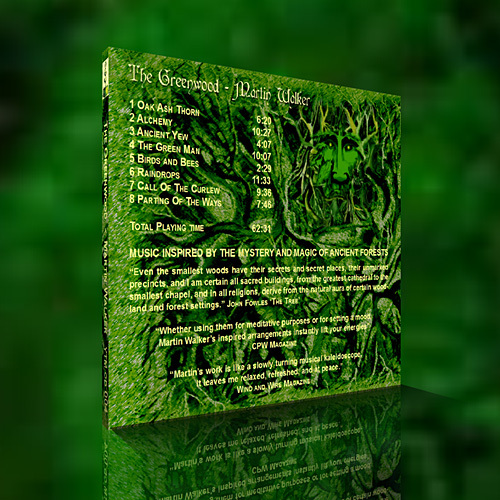 "The Greenwood is a great CD, both musically and sonically. Being able to float and disconnect from time was one of the things I noticed and enjoyed most."